The largest and most impressive room in the house is the Great Hall. 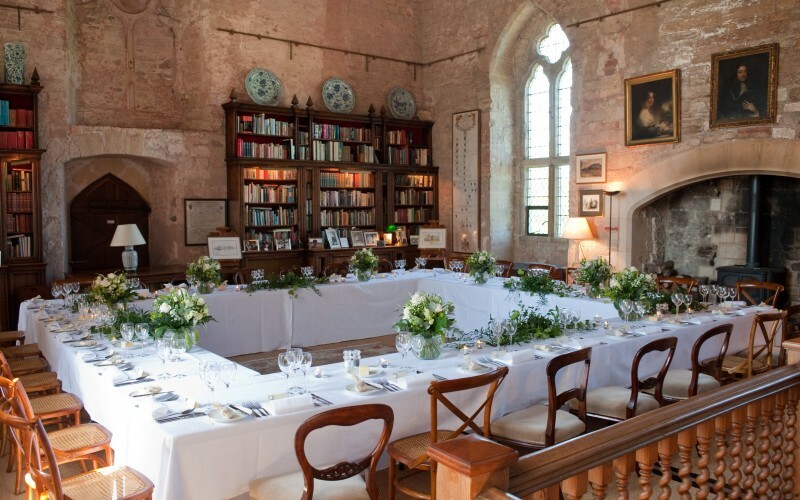 This Mediaeval gem can seat 35 people for the Civil Ceremony or 35 people in baronial splendour for the Wedding Breakfast. 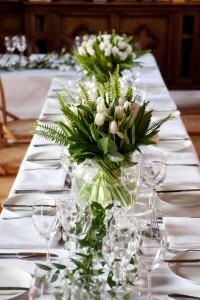 Sunlight streams through the three gigantic arched windows, lighting the airy room, in summer. In winter the room can be candle-lit, and with the wood-burning stove alight it becomes a warm and welcoming space. 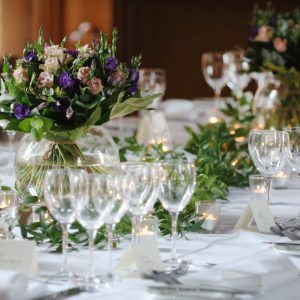 Perfect for a Wedding Breakfast, there are a number of options when it comes to the layout of the tables; and our Caterers will be delighted to go through these with you. 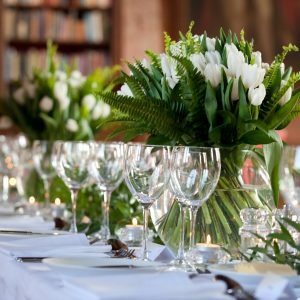 The Great Hall is not purely for use by larger parties – a long table seating 20 guests looks stunning placed in the middle of the room.